Today I want to share with you an amazing product that I found & tested and you all deserve to know about it especially now that we are in the midst of summer! I was having a talk with my beloved Filomena from Filosophie! and she asked me about sunscreen lotions and powders since Japan has a huge market when it comes to harming UV rays. I was not really interested in sunscreen before but somehow our conversations sparked an interest in me and while I was looking for products for her I was picking up some for myself. And boy, am I excited for this review! 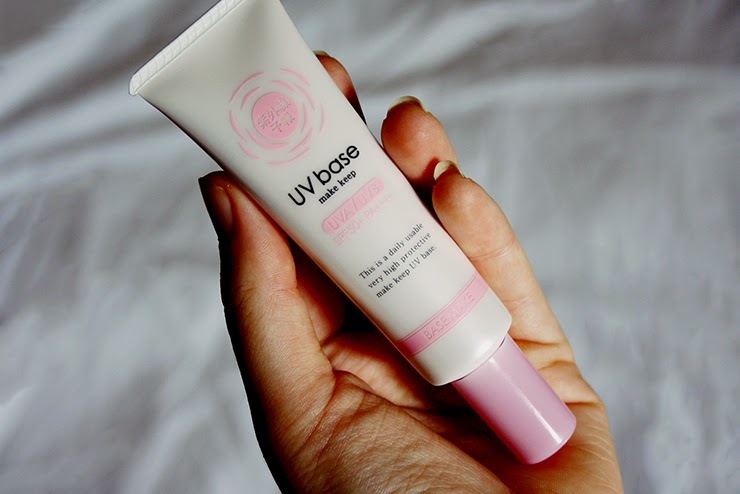 What I am going to talk about it today is the UV Base Make Keep with SPF 50+ amd PA++++ (that's a lot of + you can get out there!) Of course, the packaging kind of cought my eye and especially the magic number of "50+". 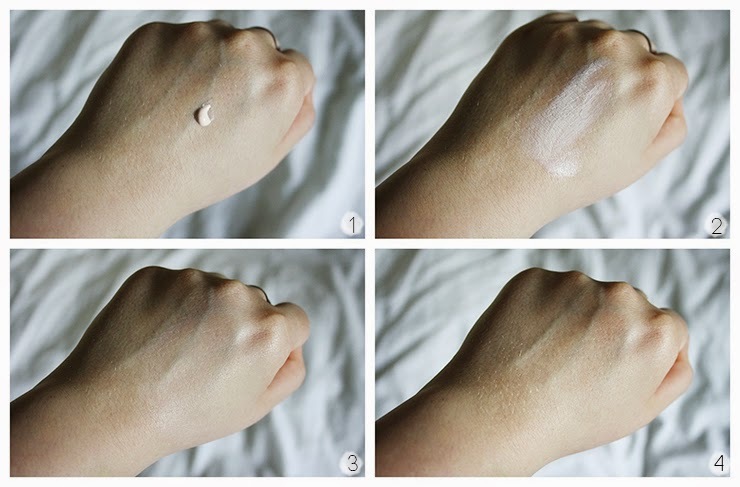 As you all may know I am extremely pale with having the palest shade in almost every foundation (MAC NC15) so my skin is very very sensitive when it comes to getting harmed by the sun and I burn extremely easy if I don't engage in counter measures. I already talked it in my latest blog post about cultural differences and beauty ideals; In Europe and especially in Germany the general beauty ideal is to have tanned skin because it is associated with health. I have always been the "black sheep" and always liked my pale skin tone, I never really cared about getting a tan (Also, my skin does not tan. It just refuses to, so I won't force it.) I personally know a lot about how harmful the sun can be to our skin exposed on a daily basis and I think one of the main causes for Europeans looking a lot older than Asians from certain years on is tanning and taking no precautions when it comes to that. So cute yet kind of elegant packaging and no matter what everyone tells you: Packaging. Is. Important. So this is a highly sun-protective make-up base that, as the name indicates, is used before applying make-up. I had my doubts about this but my curiosity won above all doubts. As you all know I have blemished & acne-prone skin and usually sunscreen is so rich that it breaks me out even more. 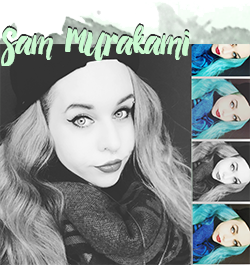 (BTW, I highly recommend to only use sunscreen that is suitable for face use, especially if you plan to put make-up on top of that.) It turned so incredibly hot these last days and the sun is burning down that I am very happy I got this in advance! Ingredients: Please see this post from Ratzillacosme for the product's ingredients, I unfortunately threw away the package as I was moving between countries, my apologies. 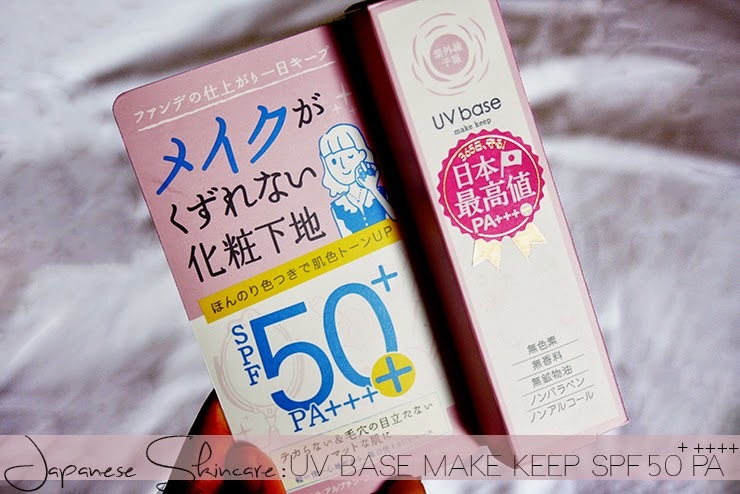 This sunscreen also ranks in the Top 6 of Japanese sunscreens from her 2013 ranking. Sorry for the bad lighting, I hate the light in my dorm room :( Hope the next one is better! Would I repurchase again? Definite YES. I love this make-up base and highly recommend this product, so far only good experiences. Love that is has high SPF and PA which is not true with every product. I feel a lot safer with this going outside and feel very well protected. It also works like a charm as a make-up base and dries quickly. Love everything about it. Have a nice day & take care!